I then turned off applications or services that I will not use it now or even not use at all. 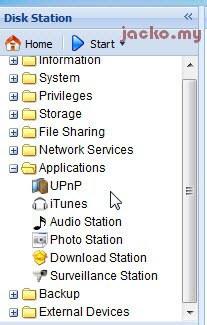 For instance, the FTP, the AppleTalk zone, the web server (Web Station 2). 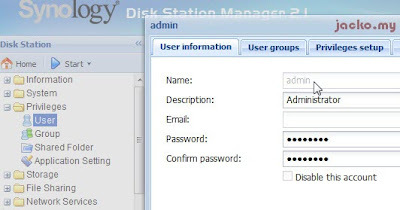 This reduces the risk for leak and vulnerability and more importantly it frees up resources (CPU processing and memory) of the NAS allowing it to perform better for other enabled applications. So likely I am not going to write anything about these disabled applications. 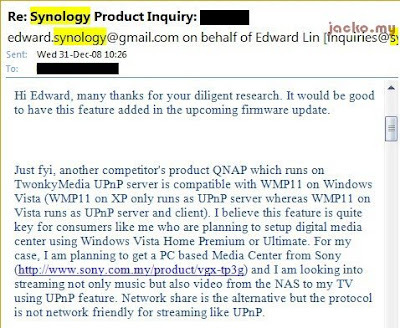 Like I mentioned, I could have chosen QNAP over Synology as its UPnP Server is compatible with WMP11 on Vista right out of the box, but I made decision over the latter, betting Synology is a company that listen and respond to customer feedback. Read Part 1 for details. 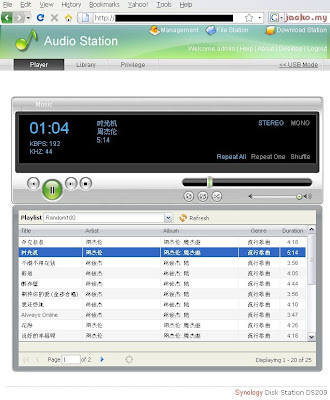 You need iTunes client to stream from iTunes server. 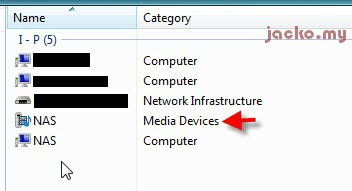 Likewise, you need either a Logitech hardware or a Java client called SoftSqueeze to stream from Squeeze Center. 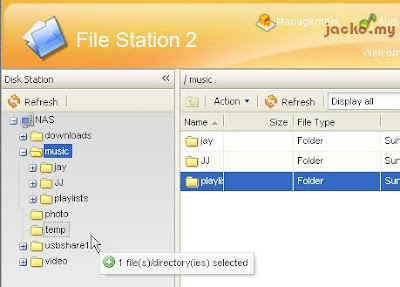 This is useful if you have a Logitech product to stream music. I am not particular on SQ (sound quality) and most of my songs are in MP3 format, but I am happy with the output of Audio Station, it streams exactly as per the song properties (i.e. 192kbps and 48kHz) with no lagging at all (that also depends if you have other network traffic). In addition, I find no difference on SQ for 3 of these options but you have the flexibility to tune the output in iTunes using the equalizer. An additional step but it's simple, so I am ok with it as I don't have to leave my PC on 24x7 for download and seeding. Green IT! 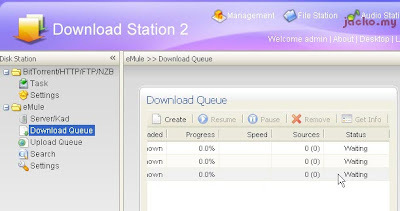 Anyway, eMule is not that important like BT to me. It took about 33 minutes to copy about 38GB of data. Hmmm... Kinda slow. Perhaps I should make another round of testing as the BT downloads were running and I was copying some files over network too. 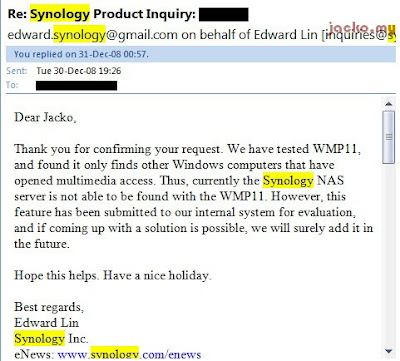 This is one of the key features that I chose Synology. 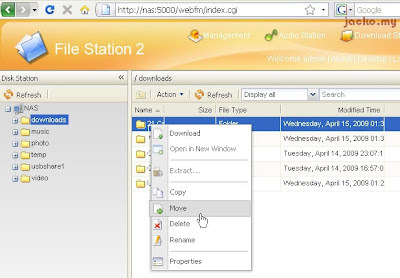 Imagine each of the file is at least 8GB big in size to move from one folder to another in the NAS, it's a nightmare if without File Station where move will need to be done across home network (from PC to NAS). That's all my testing so far. I have not dragged all my data into it, I need times to housekeep instead of just dump everything in there. Arrggh! Till when I will have spare time??!! I just changed job, so likely my next post on NAS may not be so soon, if there is any.